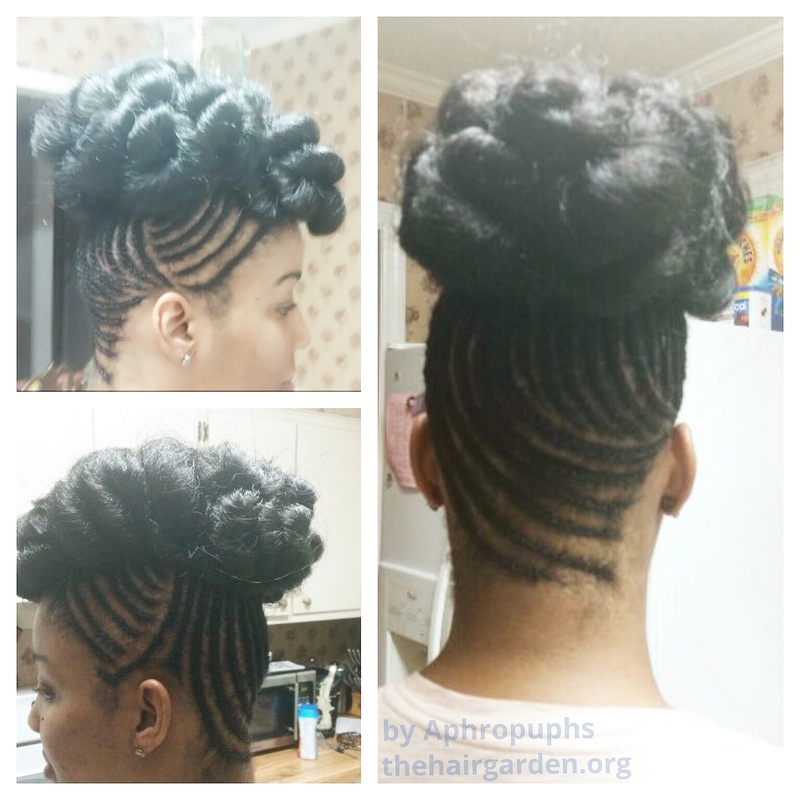 Cornrowed Updo with a Bun! I enjoyed doing this style! 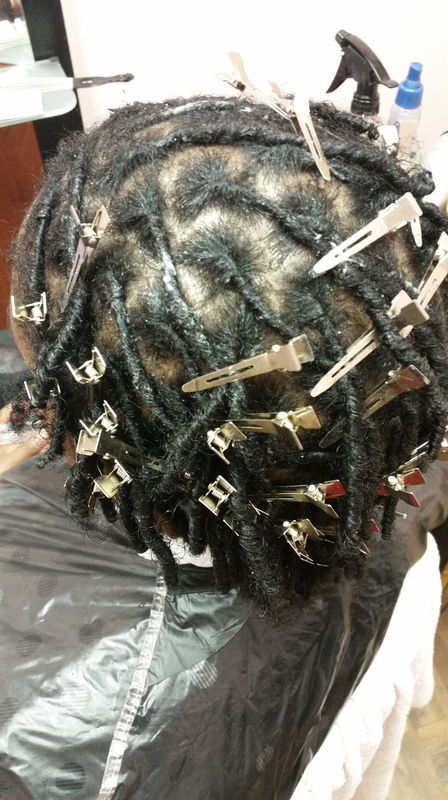 Many people who sit in my chair knows that I enjoy doing cornrows a lot! I was looking forward to doing this style and was excited about the outcome! This style can be worn for 1 to 3 weeks depending on your preferences. Simply wrap it up when you are going to sleep or showering to keep it from frizzing and you are good to go! Want a look like this? Contact me at hairgarden@live.com or book me at http://www.styleseat.com/melissaotoo! Author AphropuphsPosted on June 27, 2015 Categories Hair Care, Natural HairstylesTags augusta natural hair stylist, bun with kenakelon, bun with xpressions hair, Conyers Ga natural hair, conyers natural hair stylist, cornrows, covington natural hair care, Hair Garden, natural hair, natural hair care, natural hair styles, natural hair stylist covington, natural hair updo, the hair garden4 Comments on Cornrowed Updo with a Bun! 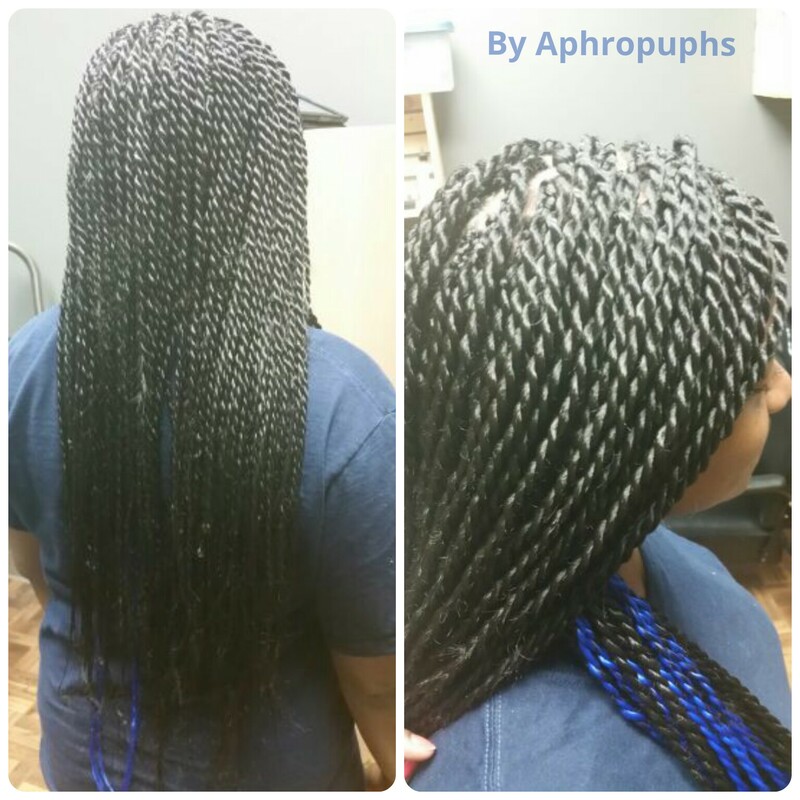 Senegalese Twists with a Hint of Blue! Here are some Senegalese Twists! Lovely and long with a hint of blue in the back! Minus the breaks and all, the look took about 8 hours to complete due to the length. Senegalese Twists. Contact me to book your appointment! This style can last her 6 weeks or longer depending if she wants the perimeter touched up! 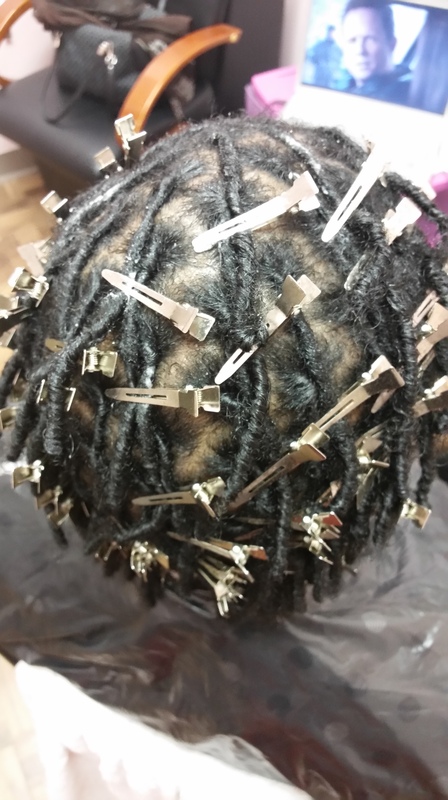 These twists can be shampooed with focus on the scalp and low manipulation. Want this look? Contact me directly or book me on StyleSeat at http://www.styleseat.com/melissaotoo! Author AphropuphsPosted on June 27, 2015 Categories Hair Care, Natural HairstylesTags augusta natural hair stylist, conyers natural hair stylist, hair garden conyers, lithonia natural hair stylist, long senegalese twists, natural hair, natural hair care, natural hair conyers, natural hair styles, protective styles for natural hair, senegalese twists, senegalese twists with blue hair, the hair garden1 Comment on Senegalese Twists with a Hint of Blue!